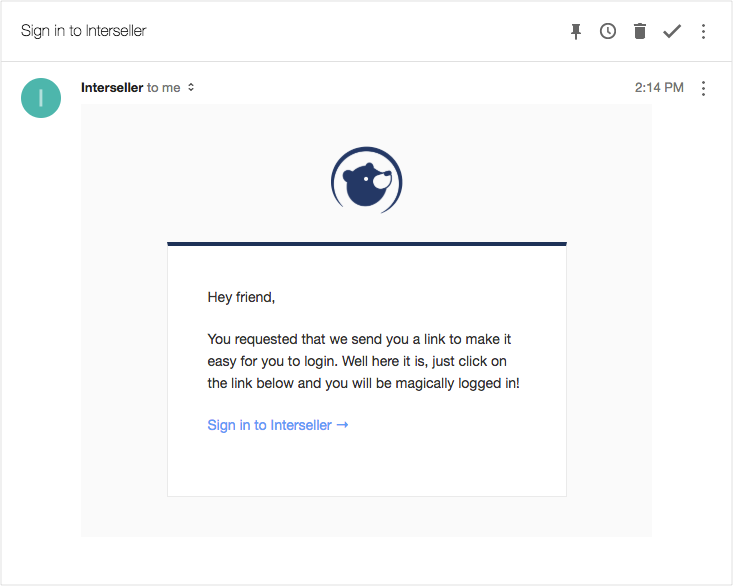 Interseller now handles accidental open tracking when you view your own sent emails. Our Chrome extension will now prevent open tracking when you view your own emails using through Chrome desktop browser. 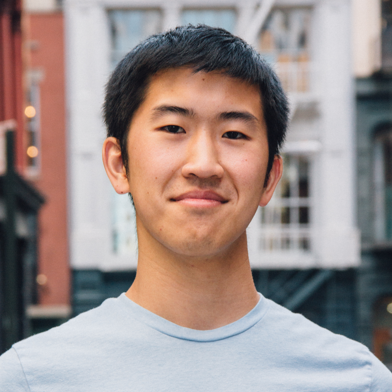 You’ll no longer need to worry about opening your own emails and throwing off “open rate” stats. We now have a couple of new ways to help you get into Interseller without needing to remember which way you signed up or knowing which service you use. 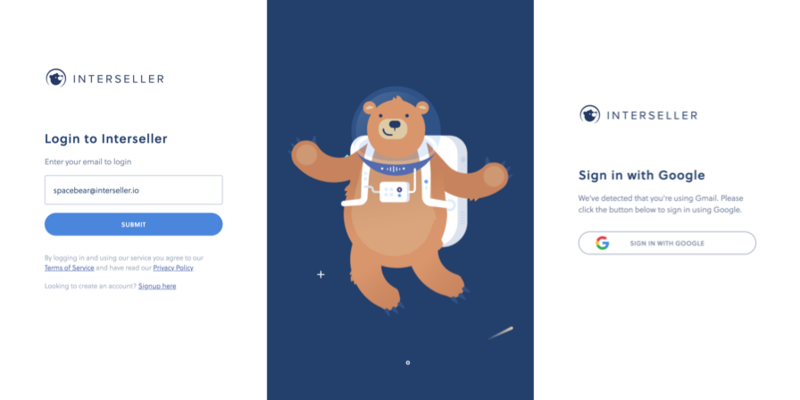 When going to our authentication page, you’ll now see our famous space bear greeting you and asking you for your email address. From there, we can intelligently figure out which email service you use and guide you to the correct way to log in. If you were using our IMAP or Exchange integration, it’s also now a whole lot easier to log in too. You’ll no longer need to remember your server’s details to continuously log in. Instead, you’ll be presented with a new option to send a “magic link” to your email address. After selecting this option, you’ll get an email prompting you to click a link. Clicking it will then log you in without any prompt for your account information. Pure magic. As you email your contacts, we’ll now continuously check to make sure the email address is valid. Instead of checking the email address when its added, you’ll now know if the email address is valid over time. This way you’ll never get a bounce even if your contacts no longer work at their prospective company. After hearing your feedback around our account throttling feature, we decided to rebuild account throttling from scratch. It now displays as a paused state and will automatically resume other contacts with the same domain once another contact has finished their sequence. Account throttling can also halt messages to an account after a contact replies back and intelligently distinguish accounts from free email accounts (like gmail.com) to corporate email accounts. Our professional services offering helps you learn about the best practices with email sequences in a 1-on-1 experience. We’ll help you get onboard with the platform correctly so that you have the best results possible on day one. With professional services, you will get two one-hour video calls with one of our experts spread throughout the month along with a higher tier of support that can help write, evaluate and monitor your email sequences. Check out our one-pager to learn more. We’ve also been working on a lot of things behind the scenes to make Interseller perform faster and more efficiently with over 300 changes to the core product including 10 new version updates to the Chrome extension.